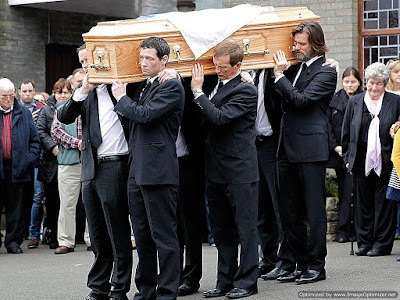 Cathriona White, Jim Carrey's "delicate Irish flower" is being laid to rest in her native Ireland. White, 30, was found dead of an apparent suicide inside her L.A. home on Sept. 28, just two days after the third anniversary of her father's death. Prescription pill bottles and multiple suicide notes – including one addressed to Carrey – were found near her body. A source tells PEOPLE that Carrey arrived a few minutes before the service started and was seen carrying her casket from the church on Saturday. 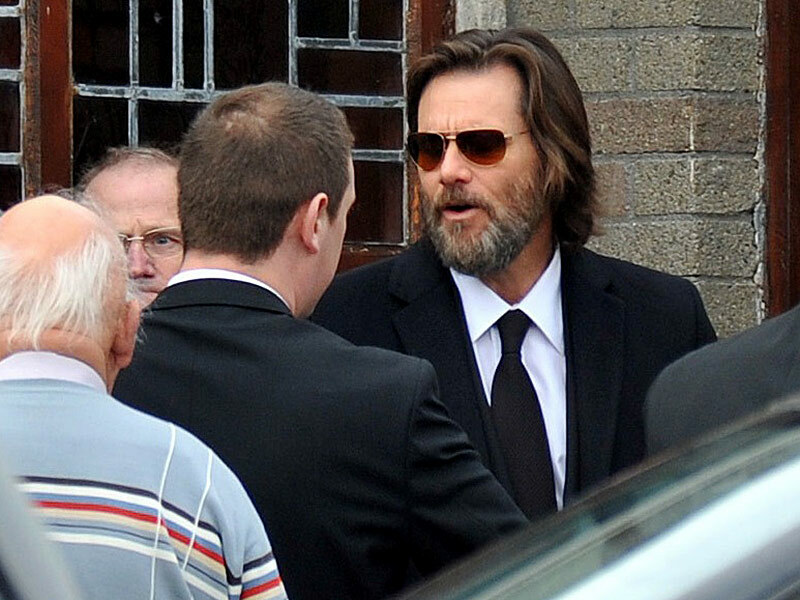 Another pic of Jim at the funeral is after the cut. Wait, what? Kylie Jenner lent Tyga $800k? Test Your Sight: How Many Horses Can You See?